This week's Saturday G/45 Quads were made up of 5 Sections. In the first section, Ryan Young took home first place with 2.5/3 total points! 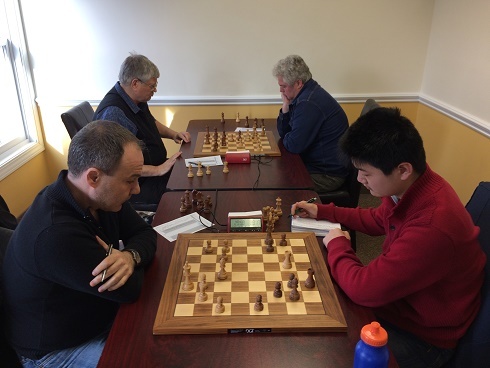 Arthur Xanthos, of the second section, played a remarkable game and earned 3/3 total points! 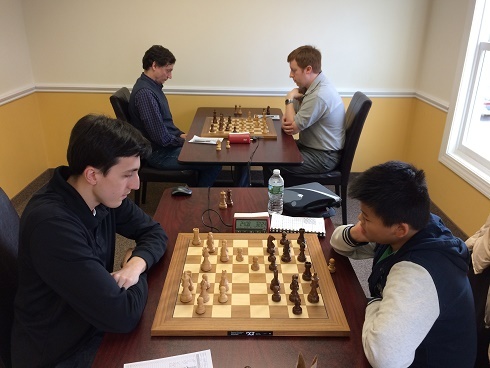 In the third Section, Frank Prestia drew in his first round but, nevertheless, earned first place with 2.5/3 total points. 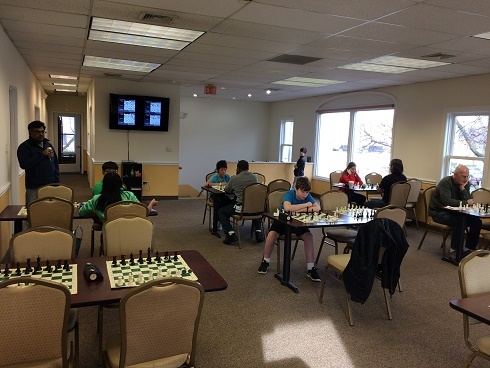 Kailash Kalyanasundaram played a flawless game in the fourth section and earned 3/3 total points! In the final section, a six-player Swiss, Ramesh Abhiraman earned a perfect score with 3/3 total points. Joseph Ho followed close behind with 2/3 total points. Congratulations to the winners and thank you to all participants. We hope to see you soon!